Our voices are created by the vibration of two folds of mucus membrane housed within a cartilaginous box called the larynx. When air is expelled through the lungs these tightly stretched membranes, commonly known as the vocal cords, vibrate. By controlling the tension in these membranes and the rate of their vibration, we produces the sounds that form speech and enable us to sing. When these membranes are damaged, vocal performance can suffer. A number of factors can cause damage to the vocal cords. As an unfortunate side effect of some forms of throat surgery, the nerves that supply the vocal cords can be damaged. The superior laryngeal nerve and recurrent laryngeal nerve supply motor nerve impulses to the muscles that adjust the tension of the vocal cords. 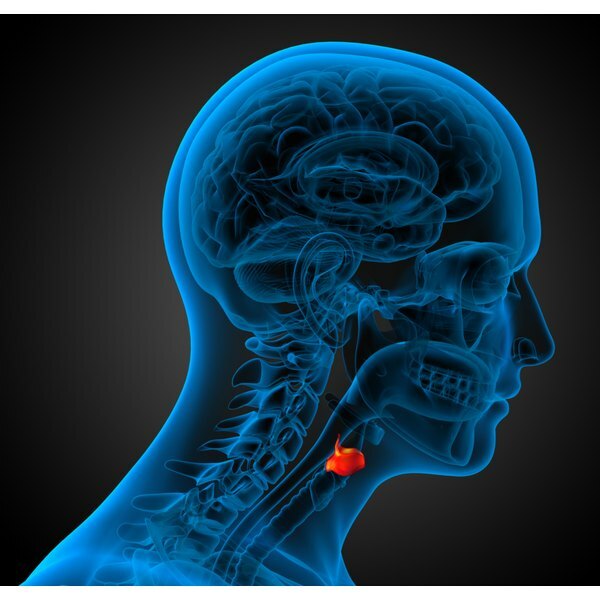 MayoClinic.com explains that thyroid surgery can be a cause of laryngeal nerve damage as the thyroid gland is located at the front of the throat, directly above the cartilage that protects the vocal cords. Other surgeries that can inadvertently induce vocal cord damage include parathyroid, esophageal, neck and chest related procedures. Endotracheal intubation, the process wherein breathing tubes are inserted to aid respiration, can, in rare cases, cause injury to the recurrent laryngeal nerve. Tobacco, marijuana and other forms of inhaled smoke can damage the vocal cords, according to the University of Pittsburgh Voice Center. Exposure to smoke can dry out the mucus membranes that line the voice box and cause irritation to the vocal cords. The deleterious effects of smoking can diminish the voice quality, and increase the need for throat clearing, which in itself damages the vocal cords by banging them forcefully together, causing swelling and further irritation. Viruses can inflame the vagus nerve, which is the cranial nerve from which the laryngeal nerves branch. The American Academy of Otolaryngology–Head and Neck Surgery warns that systemic illnesses that cause neuropathy or nerve damage, can affect the nerves that control the movement of the vocal cords. Inflammation due to arthritis can potentially affect the vocal cord joints, preventing them from opening and closing. Such inflammation may resemble paralysis even in the absence of nerve damage, according to MayoClinic.com. Scarring of the vocal cords can result from chronic inflammation. When the stomach regurgitates acid into the throat, the larynx and vocal cords can become irritated. This condition is known as reflux laryngitis. The University of Pittsburgh Voice Center advises monitoring the timing, type and amount of food consumed and avoiding alcohol, mint and caffeine as a way of minimizing acid reflux that can cause vocal cord damage. How Is Smoking Bad for Singers?